SFCCC relies on grants and philanthropy to provide health services to more than 112,000 San Franciscans each year. 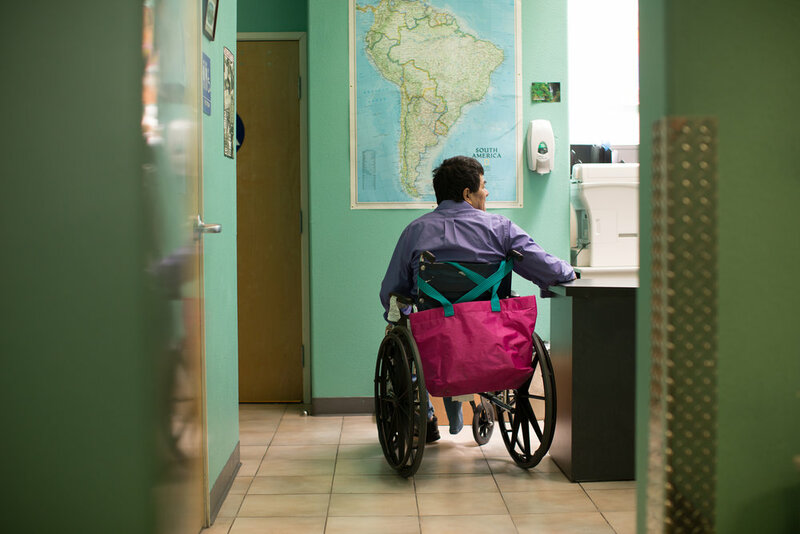 Your care and concern help to ensure that everyone in San Francisco has access to health care, regardless of their ability to pay, health insurance status, or whether or not they have a roof over their heads. Please consider becoming a recurring donor of our award-winning services. SFCCC works to ensure the availability of primary health care for family, friends and community members who are uninsured or medically under-served. Our mission is to develop and implement programs and support policies that increase access to community-based primary care, targeting the uninsured and under-served. SFCCC furthers its mission through expanded access to care; health policy; strategic partnerships; workforce development; maximizing health information technology; and quality improvement. To make a donation by mail, print out this form [PDF] and mail it in with your check, or with your debit or credit card information. The San Francisco Community Clinic Consortium is a 501(c)(3) nonprofit organization. Our tax ID number is 94-2897258. Your gift is tax deductible to the full extentd provided by law. To view our financial records, please visit Guidestar.